All content found on this site including graphics, images, logos, copy, icons, video and audio is the property of G2 Products Inc or its suppliers and is protected by US and International copyright laws. All trademarks, service marks and trade names are the property of their respective owners who may or may not be affiliated with or sponsored by G2 Products Inc.
Any unauthorized use of the materials or contents on this site may violate copyright, trademark and other applicable laws and could result in criminal or civil penalties. No part of this site or its content may be reproduced, republished, modified, transmitted or distributed without the express written permission of G2 Products Inc.
We make every attempt to provide accurate and current information on this site. The information and materials on this site are provided As Is and without warranties of any kind. Colors and appearance may vary slightly from the images depicting them. G2 Products Inc. makes no representations or warranties either express or implied of any kind with respect to the operation, contents, information, or materials contained herein. We will not be liable to you or anyone else for any damages or injury resulting from your access to, or inability to access this site or from your reliance on the information provided in this site. Your receipt of an electronic or other form of order confirmation from G2 Products Inc does not signify our acceptance of your order nor does it constitute confirmation of our offer to sell. G2 Products reserves the right at any time after receipt of your order to accept or decline your order at our discretion. We reserve the right without prior notice to you, to supply less than the quantity you ordered for any item and adjust your invoice accordingly. G2 Products Inc shall have the right to refuse or cancel any such orders whether or not the order has been confirmed and your credit card charged. If your credit card has already been charged for the purchase and your order is canceled, G2 Products Inc shall immediately issue a credit to your credit card account in the amount of the incorrect price. By submitting your suggestions, submissions, creative ideas (including inventions) to G2 Products Inc, you grant G2 Products Inc a royalty-free irrevocable license to adapt, use, reproduce, modify and create derivative works from now or later developed without any notice or compensation to you. G2 Products Inc. warrants CleaRinse® products to be free from defects in workmanship and construction for a period of 90 days from date of purchase. 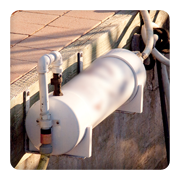 In addition, CleaRinse portable wash down systems offer a 5 year manufacturer’s warranty on the tanks used in model numbers 75800, 75900, 76000 and 76100. GPI Digital water meters are covered by the manufacturer’s warranty. Modifying, disassembly or using CleaRinse products for anything other than its intended use will void any and all warranties. G2 Products Inc. and its suppliers do not assume any responsibility for improper use or any unauthorized modifications made to its products. Certain products require routine care and maintenance as outlined in the supplied manuals, sheets or electronic documents. Failure to properly maintain or use recommended replacement products can affect the performance of your CleaRinse product for which G2 Products and its suppliers are not responsible. For service bulletins, product updates or general performance questions contact G2 Products via email or by phone at 561 596 2085 during normal business hours (9am – 5pm M-F).